According to Jasmine Ellis, the youngest daughter of Bishop Ellis and Dr. Sabrina (affectionately known as Cookie) Ellis union, Facebook page her father has suffered a pretty serious stroke that has left his speech slurred and unclear. Obnoxious Media is not sure of the other possible residual Bishop Ellis may have as a result of the stroke, like paralysis, mobility of his hands. It is a well known fact Bishop Ellis had two serious car accidents due to his blacking out. One as of late as last month during the meeting of the Joint College Of Bishops, an organization of Pentecostal Bishops that he founded. 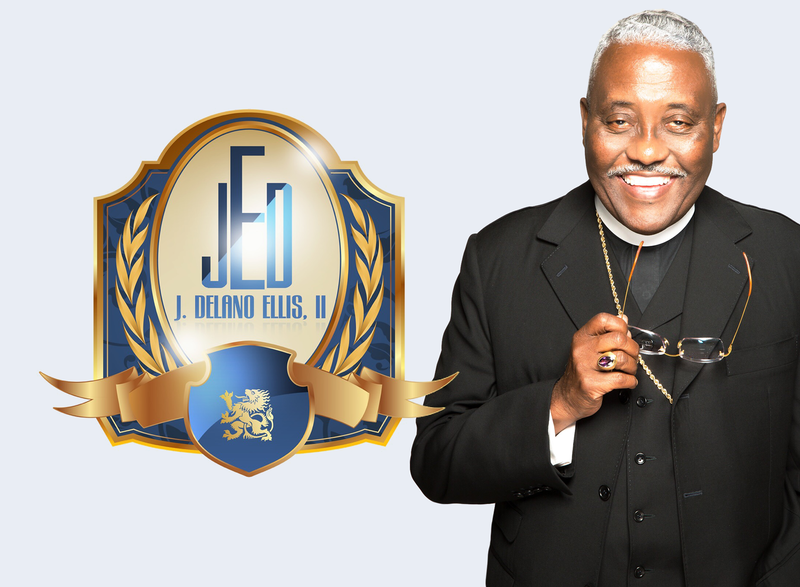 Jesse Delano Ellis II, known as J. Delano Ellis, is a leader in African-AmericanPentecostalism in the United States and is the founding President/Chairman and Archbishop Metropolitan of the Joint College of African-American Pentecostal Bishops. He is the senior pastor of the Pentecostal Church of Christ in Cleveland, Ohio, a ministry to which he was called on May 14, 1989. His wife, Dr Sabrina Ellis, currently serves as co-pastor with him. Ellis is also the founder and former presiding prelate of the United Pentecostal Churches of Christ and presiding prelate of Pentecostal Churches of Christ. Bishop J. Delano Ellis is a native of Pennsylvania and a product of the Philadelphia Public School System. He holds a Bachelor of Arts Degree in History and Sociology from Howard University, a Masters Degree in Religious Education from Nazarene Seminary, as well as a Doctor of Philosophy Degree in Ecclesiology and Episcopacy from Stafford University in London, England. Bishop Ellis is also the recipient of four honorary degrees from various Universities in the United States and the United Kingdom. Previous Bishop Floyd E. Nelson, Chief Apostle To The Living Faith Church of Nantucket Has Died! Next Dr. Sabrina Ellis Thanks The Saints For Praying For Her Husband! Well, his tongue has caused much grief to many people. Karma is a nasty thing, ain’t it? Please. You must think because a man wears a clergy collar, he is above criticism. get a grip, Mikey. get a grip, Mikey. Get a grip. Ellis is a Modalistic heretic, not a “man of GOD”. On the church website, his church claims to be the OLDEST Pentecostal church in Cleveland. Not true, Pilgrim Church of Christ, at the other end of East 105th, near St. Clair Ave., is older by 2 years. Pentecostal Church of Christ was started in 1935, according to their website. Pilgrim began in 1933, and celebrated their 80th anniversary in 2018. Ellis always embellishes things. Ellis needs to correct his lie.